Your old life has ended and now everything is new in Christ. Therefore if anyone is in Christ, he is a new creation. The old things have passed away. Behold, all things have become new. Just think of this promise. Everything from your old life has ended and all things have become new. In this Bible passage, the Apostle Paul isn't talking about our natural life but our spiritual life. When we received the free gift of Jesus Christ into our lives, there was a transformation that happened on the inside of each one of us. The same power that raised Jesus from the dead gave new life to our spirit man when we were baptized into the body of Christ. At that very moment, our 'old nature' died, and a new life began. While this is a wonderful picture of our salvation, many of us still struggle with remnants of our old ways, seemingly still alive and well in our soul. Old thought patterns, familiar false beliefs, etc. seem to dominate our minds. The truth is that while these struggles are real, in actual fact, they are just residue from our former life. The only power that they continue to hold over us, is the power that we give to them by agreeing with these thoughts. That is why we are called to not be conformed to this world any longer but transformed by the renewing of the mind (Romans 12:1-2). May today be the day when our inner man, a new creation in Christ, rises up and declares the truth of who we truly are! May God give us the courage today to take every thought captive to the obedience of Christ and rise up and receive our destiny as a joint-heir of Jesus. 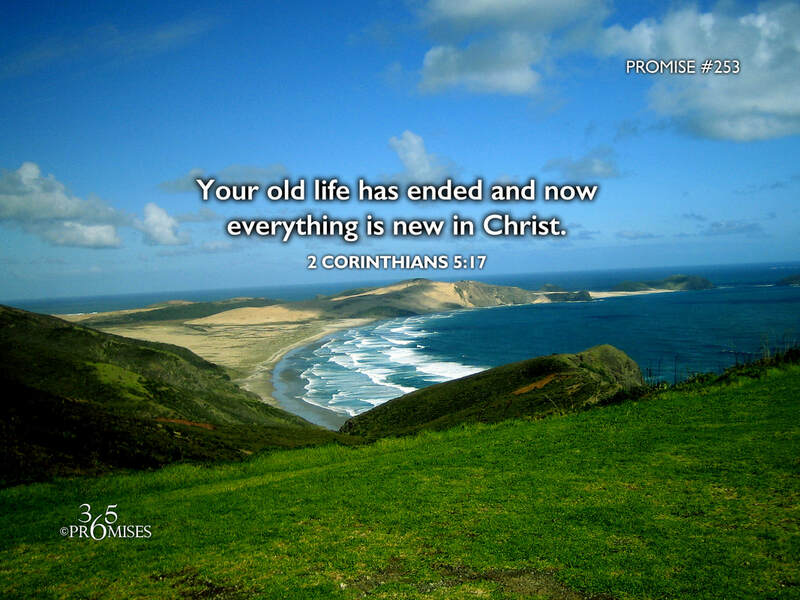 The truth really is that our old life has ended and all things have become new in Jesus Christ our Lord!